India is a holidayer’s haven and a honeymooning couple’s delight, thanks to the long list of beautiful destinations that you can visit with your significant other. Home to numerous breathtaking hill stations and cities, each with their unique personality, the choices are large when it comes to planning your honeymoon vacation in India. Marriages are all about give-and-take and the time you spend with one another during the honeymoon period is certainly one of those valuable turning points that pave the path for a strong and happy married life ahead. Away from the pressures of daily life, work and responsibilities, it also provides the perfect opportunity to get to know one another. Considering a large number of choices in Indian honeymoon destinations available today, choosing one destination over the other and zeroing-in one’s perfect destination won’t be easy. CLIMATE – Do you both love the sight of snow, or would you prefer getting a suntan on a beautiful beach? Depending on the kind of climate that you both enjoy, you may want to select a hill station or a seaside resort. 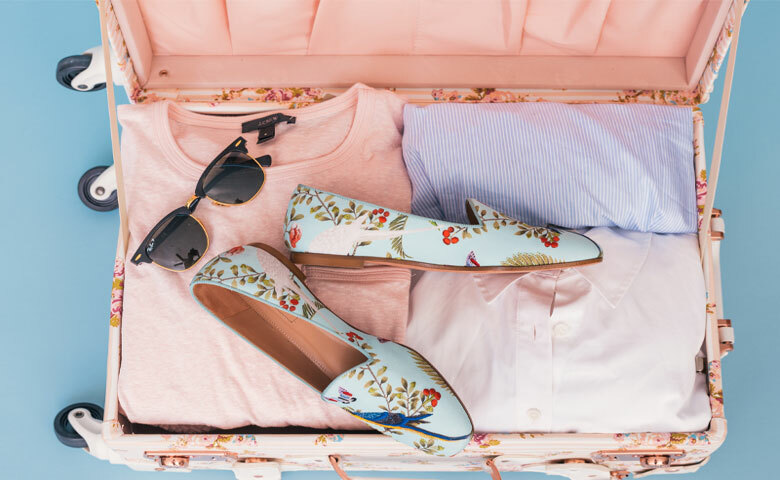 BUDGET – Are you prepared to splurge on your honeymoon, or do you have a budget in mind that you would like to follow? Based on your budget, narrow down to a romantic getaway that falls within your budget and, at the same time, proves to be everything you want it to be. DURATION – Realistically speaking, how many days can you steal away from work etc., to go for your all-important honeymoon destination? A week is a must, but if time is a constraint, it is advisable to select a destination that is close-by. EXPECTATIONS – All of us have day-dreamed about our ideal honeymoon jaunt at some point of time in our lives. This is the time to talk about it! Do you have a favorite holiday destination that you would love to re-explore with your partner? Is there a place that the two of you want to see together? Do you wish for a secluded beach resort or an adventurous mountain getaway? Find out each others’ interests and reach a common decision. In many families, parents, or relatives of the bride or the groom may gift tickets for the honeymoon. If they consult you to know your preference for a destination, don’t shy away from telling them your choice once you have consulted with your partner. Remember, the next few days are all about you and your partner. So, make the most of it! CHOICES GALORE: From lofty mountains to glistening seas, beaches and untouched natural plains, there is no dearth of romantic honeymoon destinations in India, owing to its vastness and breathtaking geographical diversities. Goa can be termed as the ultimate honeymoon destination in India – no questions asked! Honeymooners, both from India and abroad visit Goa, all year round, as it makes a perfect setting for celebrating life to the fullest. 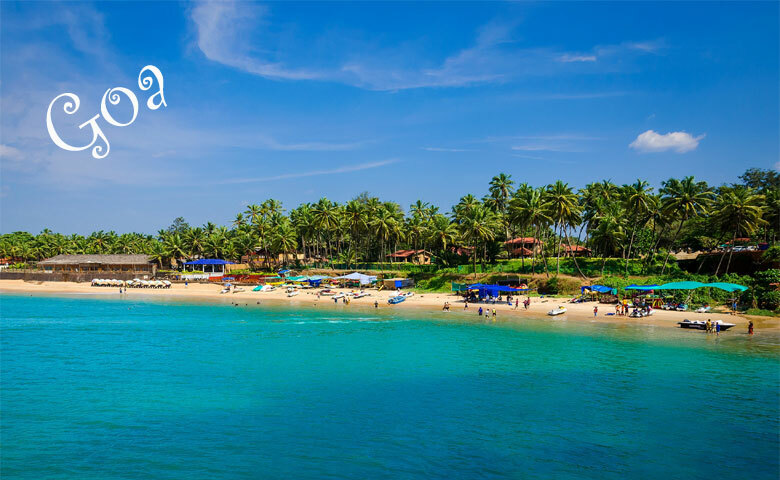 This romantic and culturally-rich state is known for its pristine beaches – the Calangute Beach, Bogmalo Beach, Dona Paula Beach, Miramar Beach, the Varca Beach etc., – pleasant climate and vivacious people. No matter what mood you may be in, Goa will complement it well! Admire the mesmerising natural beauty, spend quiet moments with your beloved walking on the beach, or party till the wee hours of the morning with foot tapping to Goan music! Hotel reservations should be made well in advance. Kerala is called the ‘Venice of India’. 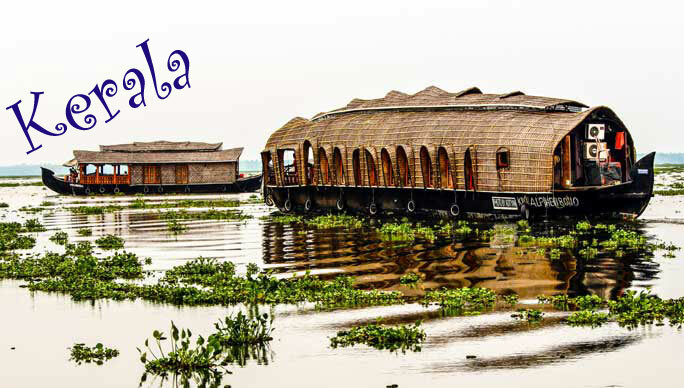 This southern beauty is known far and wide as one of the most beautiful states in India. Thanks to its geographical location, Kerala is flanked by the Western Ghats in the East and the Arabian Sea in the West. It combines the best of both worlds – lush greenery, enchanted jungles, and tropical forests as well as a long coastline, sun-kissed beaches such as Kovalam and Varkala, and serene backwaters. Some of the most popular backwater destinations in Kerala include Kollam, Kottayam, and Kumarakom. Kochi and Munnar are favored honeymoon destinations too. Spend special moments with the love of your life, watching the sun rise and set, enjoying the sights and sounds of nature and cruising through the heavenly backwaters of God’s own country. You cannot find a more romantic setting than this to fulfill your special dreams and know each other better. Kashmir is aptly called ‘Paradise on Earth’. It is the best choice for honeymooners looking for nature’s ambiance. The snow-capped mountains, lakes and beautiful gardens are the defining features of this northern beauty. You can hire houseboats called ‘shikaras‘ and glide on the calm and crystal clear waters of the Dal Lake, situated in Srinagar, the capital of Kashmir. Must-sees include Mughal Gardens, Shalimar Gardens, and the Nishat Bagh. The Pari Mahal and the Chasmashahi are also worth visiting. Gulmarg, or the ‘Garden of Flowers’, is another ideal honeymoon location with plenty of fir and pine trees to sit under and admire snow-capped Himalayan peaks. This exotic coral island is situated in the Arabian Sea, towards the South-west of India. Lakshadweep is an ideal honeymoon destination for couples who want to enjoy quiet moments admiring the majestic blue sea, the swaying coconut groves, and scenic beauty. Since the islands are not densely populated, couples on their honeymoon can be assured of uninterrupted solitude, peace, and tranquility. For those who seek adventure, Lakshwadeep offers exciting water sports such as snorkeling, scuba diving and parasailing. Like a new-born cuddled in its mother’s lap, Manali, in Kullu, Himachal Pradesh, is the baby of the Himalayas. 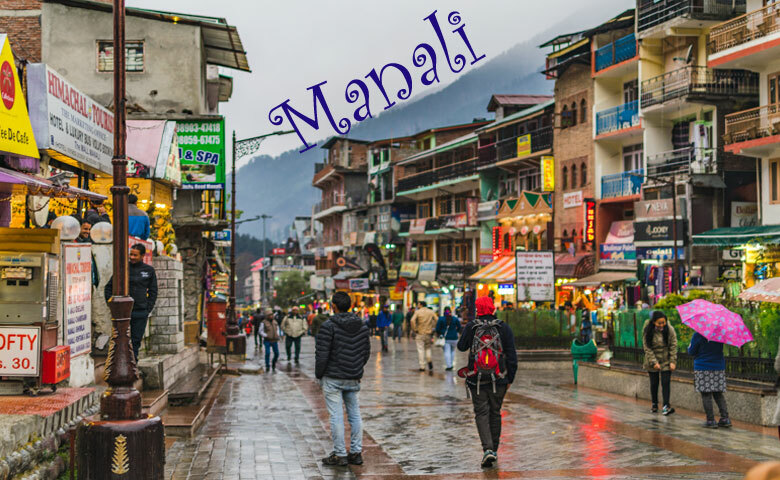 Also called the ‘Valley of the Gods’, Manali is home to a number of temples such as the Hidimba Temple, the Manu Temple and the Vashisht Baths, and fruit-laden orchards, awe-inspiring snow-capped mountains and miles, and miles of natural beauty. Honeymooning couples will find Manali visually gratifying and spiritually satisfying. Wander off to the nearby villages to experience simple ways of life, or indulge in some shopping at the Mall, discover secluded mountain paths, or simply admire the untouched scenic views of a romantic and wondrous Manali. The Kullu Valley offers opportunities for laidback fishing in the Beas river too. Udaipur is located on the banks of Lake Pichola in Rajasthan. Well-known for its lakes, hills, and palaces, Udaipur stands in contrast to the harsh sandy deserts of Rajasthan. While in Udaipur with your better half, you can experience the wonders of a bygone romantic era as you visit the exotic forts and palaces that Udaipur is so well-known for. The panoramic view of the entire city of Udaipur can be seen and admired from the Lake Palace. The Pichola Lake and the Udai Sagar Lake create a uniquely romantic setting for honeymoon couples. Shopping for textiles, fabrics and handcraft items should be on the list of must-dos as well. Rightly known as the ‘Queen of Hill Stations’, Darjeeling is situated in the North-western side of West Bengal. It is one of the most frequently visited hill resorts in India. 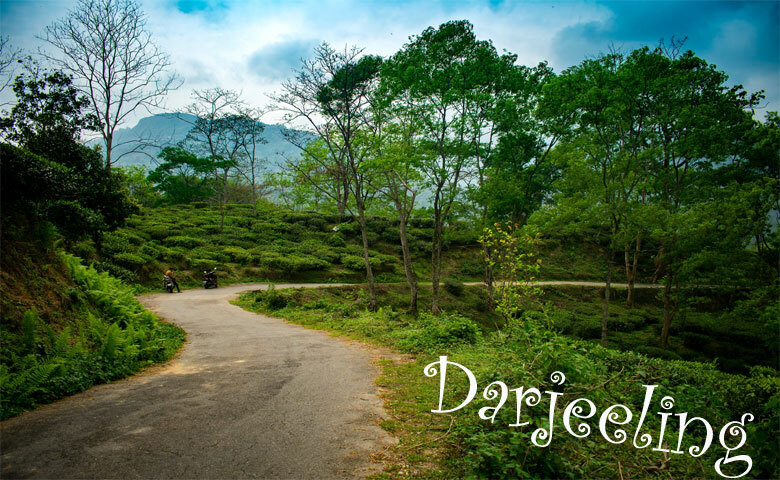 The best way to reach Darjeeling is by flying to Bagdogra and travelling by a jeep from there. The sprawling tea plantations, adventurous winding roads and a mix of old and new, make Darjeeling every bit desirable. Couples on their honeymoon can experience an unexplainable sense of happiness and togetherness while enjoying the breathtaking views of the majestic Mount Everest and Kanchanjunga in all their white, snowy splendour. A short journey on Darjeeling’s Toy Train, a visit to the Tiger Hills, Botanical Gardens, the Ghoom Monastery, and the Pagoda Temple – all provide a uniquely enriching experience. The Mall offers plenty of opportunities for indulging in shopping and horse-riding. 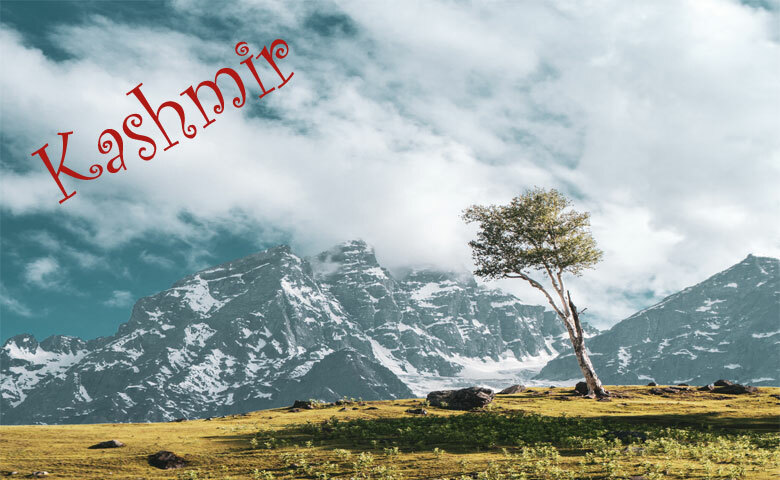 The hill stations of India make a perfect destination for couples and Shimla, the capital of Himachal Pradesh, is definitely a popular choice. Generously endowed with breathtaking natural beauty, mystical Shimla makes an ideal setting for couples in love to walk through its winding hilly roads and spend unforgettable moments admiring the serene and tall snowy peaks. For sight-seeing, you can visit the Chadwick Falls, St Michael’s Cathedral, Kufri and the Jakhoo Hill. Interested in taking back souvenirs for your family? Visit the road-side shops and the Mall to pick up wonderful knick-knacks. There are a host of hotels and resorts in Shimla which offer top-class services when you want to stay indoors! Situated in the Nilgiris district, Ooty is the most famous and picturesque travel destination in Tamil Nadu. Blessed with pristine and awe-inspiring beauty, Ooty boasts of lush green grasslands, sprawling tea gardens, and mystifying blue hills. Away from the hustle and bustle of daily life, honeymoon couples can find uninterrupted solitude in this wonderfully romantic hill station. Remember, no matter where it is you choose to go, spend quality time with your partner and experience the bond of togetherness as you start this new, exciting relationship and life. Start making plans well in advance to make sure that you get bookings in a hotel or resort of your choice. If you like to be organised, draw up a list of places that you would like to visit around your place of stay. Choose between a guided holiday package and an independent plan. While choosing a destination, research to find out what the weather will be like during your trip. You may want to avoid places that are too cold, or receive heavy rainfall. Inform your parents/family about your honeymoon itinerary and give them details of your hotel, emergency phone numbers etc. Stay safe and have a memorable holiday! « How to Make New Year Resolutions and Stick to them?